Lamai is similar to Chaweng in many ways, although the party scene isn’t as extravagant. Because of this, it’s a great choice of destination for honeymooners who want to enjoy each other as well as the beautiful scenery. Lamai is home to a fantastic street market, which opens during the evenings, as well as some great pubs for live music – The Shamrock bar on the main road through the town is a top choice. 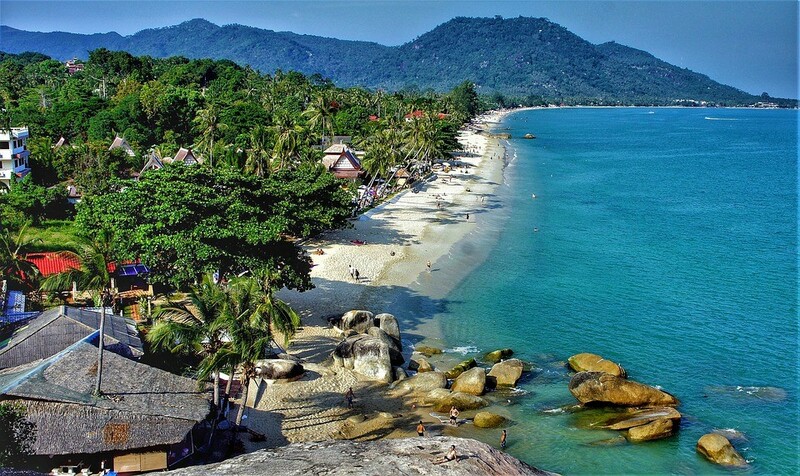 Lamai also tends to be more affordable than Chaweng, with a selection of resorts and hotels both on the beach and within the main shopping and dining area for tourists to choose from. Bophut is a quiet area in Samui, that is most well known for its Fisherman’s Village. Although this originally began as an area for fishermen, it’s now an area known for its art galleries, night market, and heritage attractions. Most of the resorts in Bophut are suitable for families with small children, and there are a variety of activities for both children and adults alike. Most of the dive companies head out to nearby Koh Tao and Sail Rock from Bophut Beach too, so it’s an ideal location for those who want to check out the underwater marine life. If you don’t mind staying a bit ‘off the beaten track’, head to Maenam. This area has the cheapest accommodation in all of Samui, which has led to it becoming popular with backpackers. Most people who stay in Maenam choose to rent one of the bungalows located on the beach, although there are a few luxury resorts for honeymooners. Maenam also has some great, authentic eateries which are more like ‘hole in the wall’ operations than fancy restaurants. No matter where you choose to stay in Koh Samui, traveling around the island doesn’t take long. However, the above locations should give you a head start when booking.